At the dawn of the 80s, I was a high-school student in Tecumseh, and starting to meet other friends interested in trains. The visit of the Michigan Artrain to Tecumseh in Spring 1980 was a key occasion. The train was displayed behind St. Peter’s Church in Tecumseh, and the church hall was the location for related exhibits, one of which was my HO scale model train layout. Many people visited the exhibition, and from this a local train club, the Lenawee Area Railroaders came together. The LAR met regularly for the next few years in members’ homes, and as most members were from the area, there was a keen interest in the rail line running through Tecumseh. A newsletter, The Cross Tracks, was also launched. Meanwhile, Conrail freight trains continued to trundle through Tecumseh. 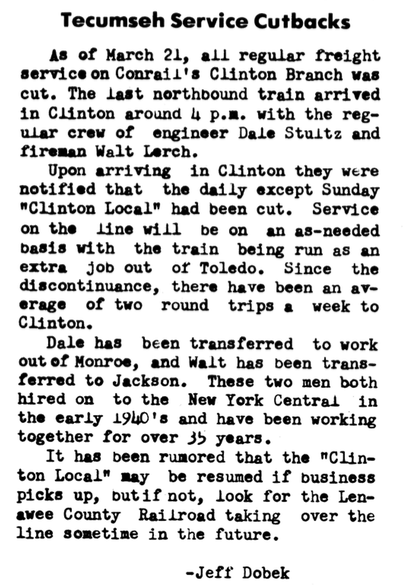 The line’s most important customer, the Budd Company in Clinton, had switched to truck transportation and stopped all rail shipments, leaving only the occasional carload of lumber or fertiliser from other customers. Very quickly the line was posted for abandonment, but occasional train service carried on into the winter of 1981–82. Due to severe weather conditions and poor track, the line was embargoed in March 1982, with the last train running that month. Meanwhile, members of the Lenawee Area Railroaders mobilized. It was inconceivable that the tracks through the center of Tecumseh could be torn up. 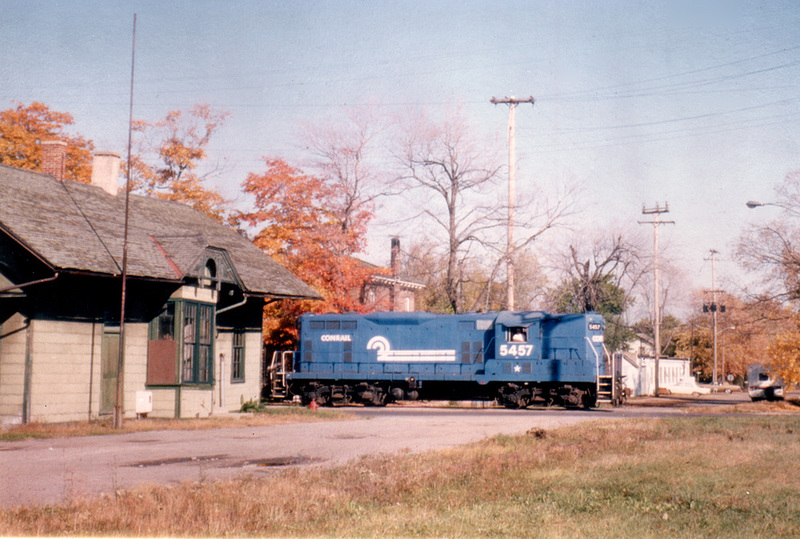 In the second half of 1982 the Southern Michigan Railroad Society, Inc. (SMRS) was formed to attempt to purchase the Conrail line from Lenawee Junction, through Tecumseh, to Clinton to be preserved as a railroad museum. By 1983 efforts had proceeded to the point that the SMRS was starting to operate track motor cars on the line and work parties were regularly setting out to cut brush and weeds and prepare the line for a return to operation. The author of this blog became General Manager of the SMRS in 1983, and the group continued preparations for operating passenger services on the line. 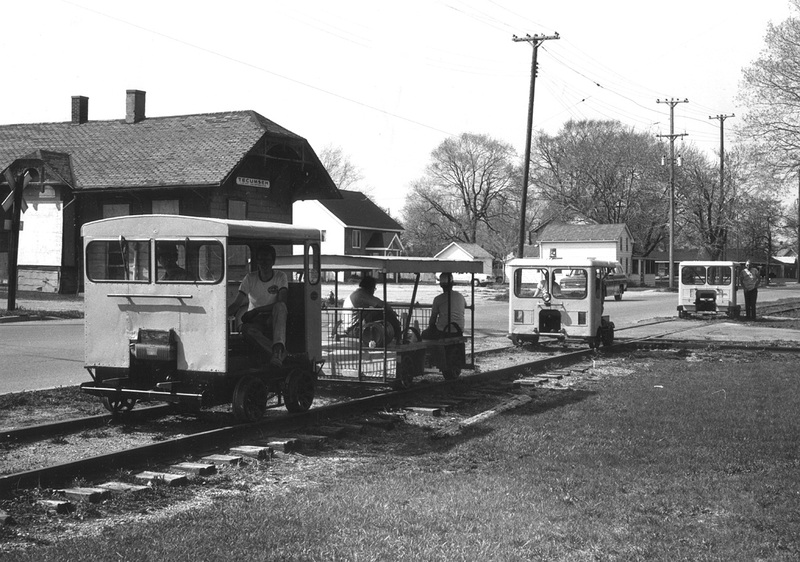 These began with track speeder rides in Clinton during the 1984 Fall Festival, and by 1985 had extended to rides between Clinton and Tecumseh, with full-size train service being introduced in 1987.